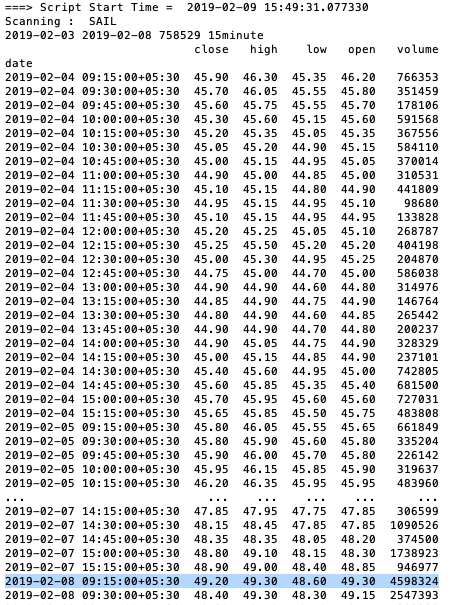 Trying to fetch historic data for EQUITY SAIL (NSE) using api historical_data api function with 15min interval. 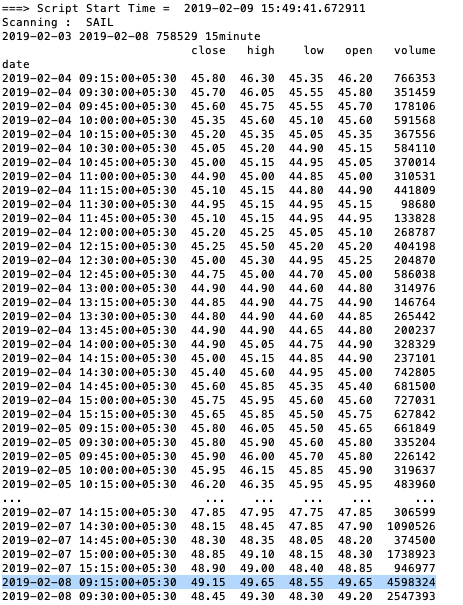 Here noticed that, OHLC data getting different each run for 08.02.2019 with in 10 secs. Not sure which data is correct. Kindly let me know what's the issue. Now i am getting constant output for all execution. However, is there any way to ensure the return values are correct ? No, we don't have a secondary data source to compare the same. Above data discrepancy occurs very rarely.